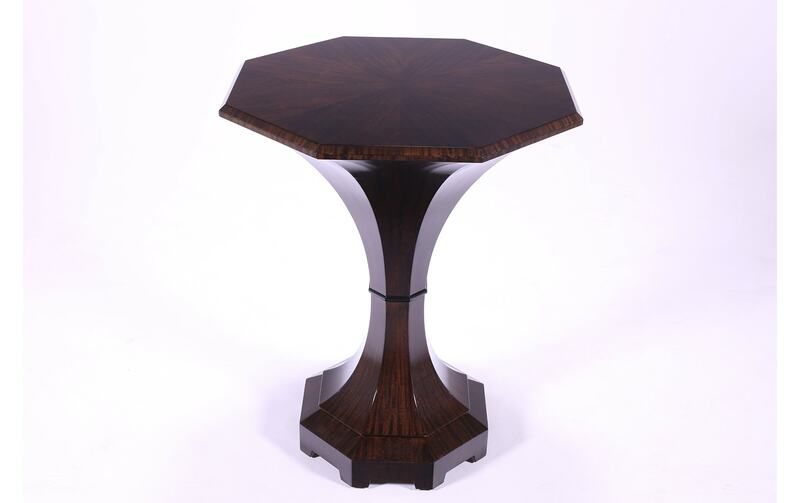 A chic occasional or side table, the Tulip Table is influenced by the minimal sensibilities of the Biedermeier design movement. 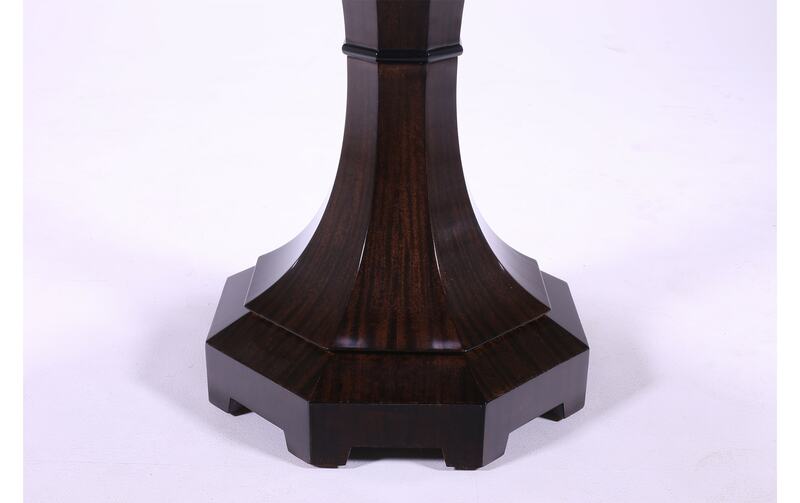 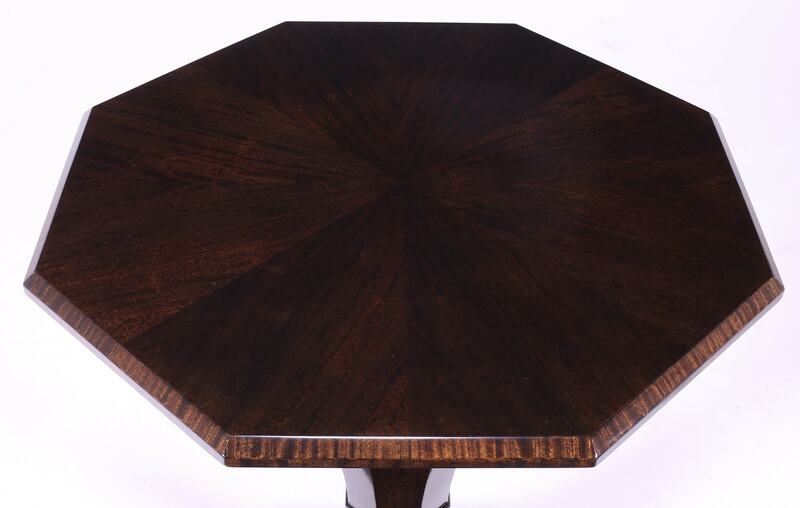 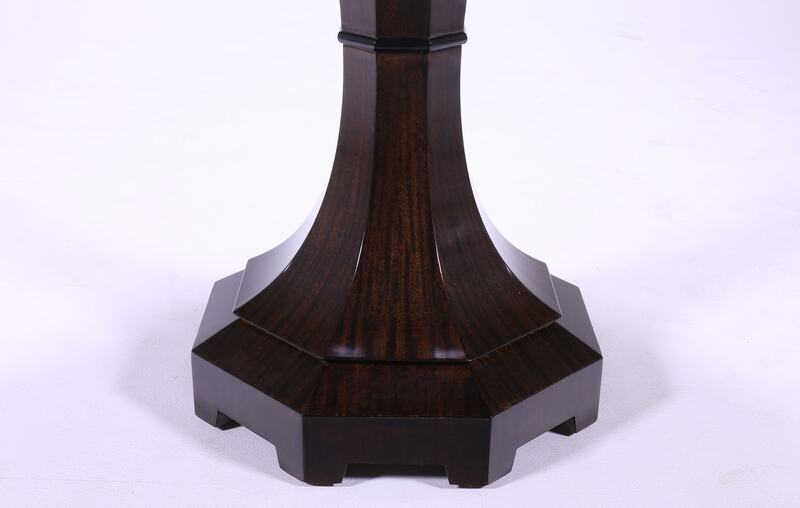 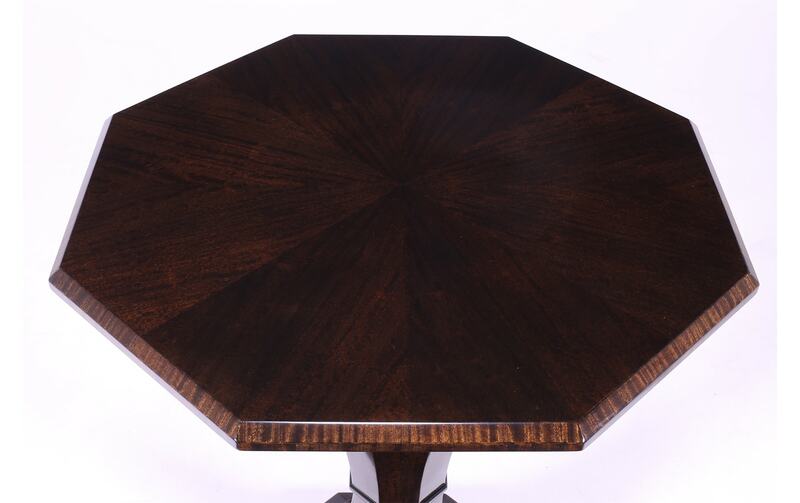 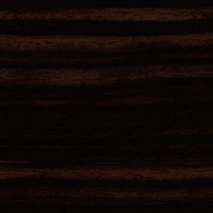 Crafted from solid Beechwood with Macassar Ebony veneers, the central column grows like the resplendent blooming of a tulip, holding aloft an octagonal table top. 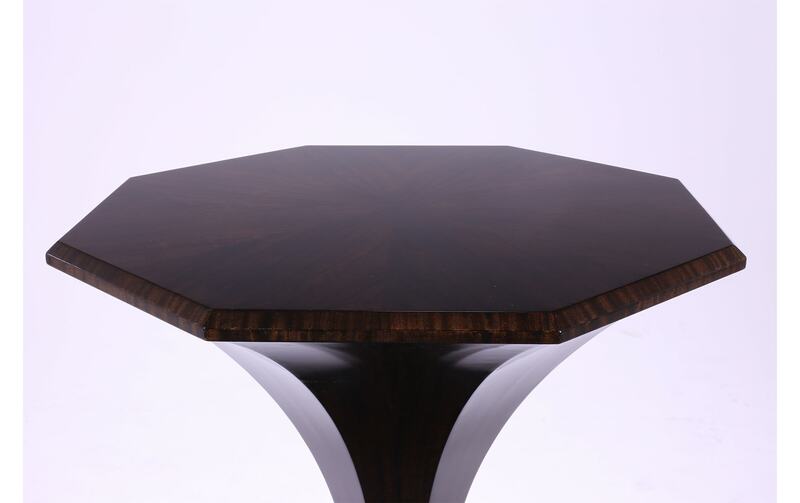 This previously defunct design has been painstakingly reproduced. 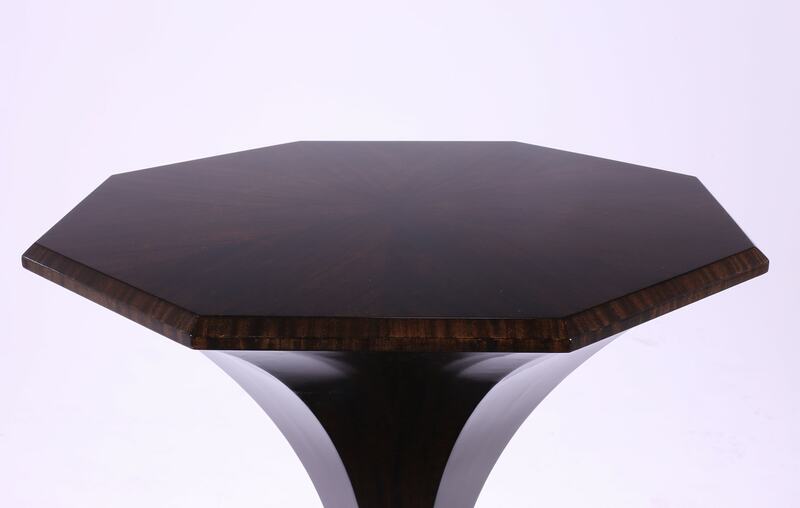 Each piece is handmade to order by William Switzer, a dedicated collective of skilled artisans specialising in using traditional methods.